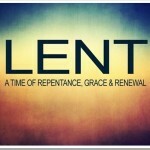 “Lent is a time for us to focus on Jesus and our Christian discipleship. What does it mean to follow the One who lived, died and rose from the dead for our salvation? Lenten practices can be about giving things up or taking things on. In either case, the point is to draw closer to God as Jesus draws nearer to the cross. The first Lenten discipline below is a new one for 2019 here at First Presbyterian. Click on Praying in Color Lenten Printouts for a newer practice that will engage your creative side as well. Click on Journey with Jesus – Poetry for a selection of poems about Lent and Easter.